Today, StayClassy begins operating under a new name: Classy. This transition means a lot more to us than simply changing the company name. We’ve renewed our website’s look and feel, updated our logo and, most importantly, published our company ethos for the first time. The process gave us fresh insight into what we have built over the past eight years (four as a fundraising events company and four as a software company), and renewed our focus on where we are headed. Ultimately, these changes reflect a more ambitious vision for the company that we are super excited about, and we hope you will be too. It started with a pub-crawl (and Will Ferrell). The past eight years have been an incredible journey. We first started Classy to mobilize and empower our friends around local causes in a fun and easy way. Our initial fundraising idea was simple…really simple. The idea was to get our friends together for a pub-crawl in San Diego and donate the extra cash to the American Cancer Society. Will Ferrell with the early Classy team (and my Dad) in 2009. Over the course of the next four years we hosted dozens of fundraising events in our spare time: first pub-crawls, then concerts, then races and more. Each event benefited local nonprofit organizations, and engaged young people in philanthropy in new and cool ways. As you may have guessed, the name StayClassy came from Will Ferrell’s catchphrase “You Stay Classy, San Diego” from the movie Anchorman. StayClassy matched who we were in those days, a group of young people trying to make philanthropy cool and fun so that our friends and the broader San Diego community would “stay classy.” It was perfect. Mobilizing & empowering the world for good. A new wave of young people were hungry to change the world, but nonprofits seemed to be missing the opportunity to engage these modern philanthropists in a meaningful way. We realized that if the overall experience of giving (especially online giving) wasn’t improved for this next generation of philanthropists, nonprofits – and the causes they champion – would be in trouble. This gap needed to be filled, not just on a local level, but also a global one. We decided to tackle the void. In 2010 we began phasing out the events side of the business and set off to build a fundraising platform that would allow any social good organization in the world to empower their young supporters to take action. Four incredible years later, Classy has evolved into a global community of more than 1,000 social good organizations using our platform to raise funds and activate supporters. We couldn’t be more proud of providing a platform where 1.3 million people have come together through 300,000 individual campaigns to raise more than $130 million for organizations tackling the world’s toughest challenges. Our mission is to mobilize and empower the world for good, and that’s exactly what the platform has done through our community. It’s been used to fund rescue missions, build schools, honor the fallen, fund life-saving medical research, save endangered animals, rebuild communities and literally thousands of other worthy causes. 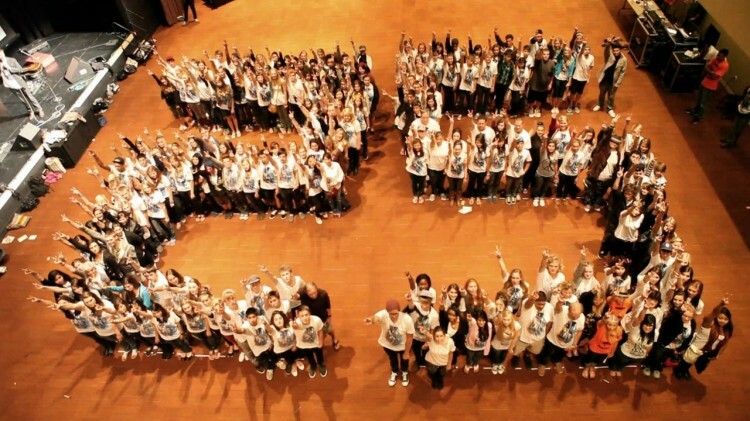 Invisible Children’s 25 Campaign in 2011: the first organization and campaign to raise over $1 million on Classy. Over time, it became apparent to us that our name no longer reflected who we were as a company. Sure, we still love to have fun (and we still love the movie Anchorman), but we are now part of something much greater, something more urgent, something bigger than ourselves and our group of friends in San Diego. We debated an endless list of names that tried to capture this bigger vision, but in the end we kept coming back to you – the Classy community. Why? Because over the years we’ve been able to observe a moral code, an ethical sense of responsibility, a simultaneous humility and boldness that unites all of you, across all causes. Classy is what inspires and motivates us to push ourselves to the limit every day, to be better versions of ourselves, and to dream even bigger. We’ve always called it ‘Classiness’ – we even created a national Awards show to recognize people and organizations who exemplify it. So, in the end, we came full circle and the choice was simple. Our company name is now Classy because of you, our community, who taught us the true meaning of the word over the past eight years. We believe #classyis living your life’s purpose without hesitation, #classyis leading by example, #classyis deciding that the impossible is in fact possible, #classyis building the world we want to live in, together. So, thank you for being Classy. And thank you for showing us, every day, what it’s all about. P.S. It’s important for us to learn what #classyis to you – we’re aggregating everyone’s ideas for a very special project and we’d love for you to participate. Click here to join in the conversation and get inspired by what others are saying about what classy means to them!